Dating back to the late 1800s, Rock and Rye was a traditional American saloon staple where rock candy or syrup was added to rye whiskey to help take the edge off, with fruit and spices added. Rock and Rye closely mirrors the Old Fashioned Cocktail which had emerged in the early 1800s and brought together sugar, water, spirit, and bitters into a morning time tipple. The Rock and Rye cocktail managed to make its way through Prohibition, often being used medicinally and then formally re-emerged in the Savoy Cocktail Book in 1930 with Harry Craddock’s own take on the drink. 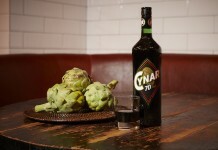 Rock and Rye isn’t a brand of drink, it’s a category of cocktail, and bartenders often put their own stamp on the drink. Ultimately, many of these variation got bottled and sold (including Mr. Boston Rock & Rye which has been recently resurrected by the Sazerac Company). With the surge in popularity of vodka in the 80s, many of the long standing Rock and Ryes began to fade away. Now, with the boom in American Whiskey and the strong market for flavored whiskies, Rock and Rye is starting to make a resurgence. While it’s pretty easy to make an old fashioned cocktail like a Rock and Rye, not everyone wants to mess with making cocktails – sometimes you just want to just open a bottle and pour. Hochstadter’s Slow & Low Rock and Rye is designed to do just that. While we don’t generally remark on spirits’ bottles, the Hochstadter’s Slow & Low has a distinctive wide neck, making it easy to pour in copious amounts. 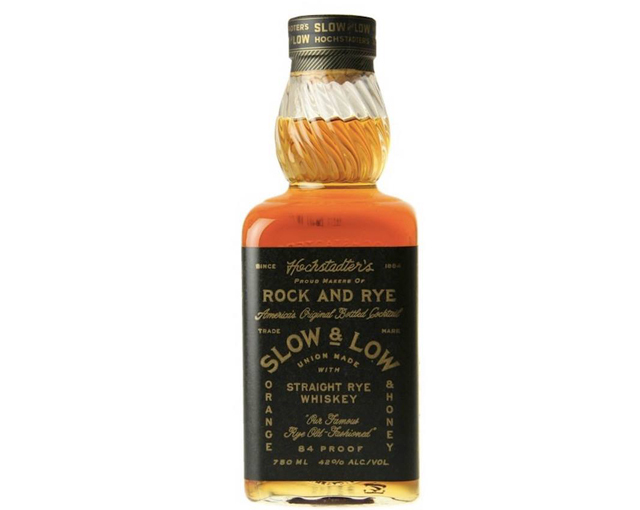 Hochstadter’s Slow & Low Rock and Rye (42% ABV / 84 Proof, $28.99) is made by macerating six year old straight rye whiskey with lemon, grapefruit, and orange peels, rock candy, honey, and horehound. The bright citrus of Slow & Low leaps out in the nose with the orange and lemon leading the pack. This citrus is well integrated with the rye note which reads both as spicy and slightly floral. The horehound gives the nose a subtle earthiness which helps bring all the other elements together. The entry is a lot less sweet and and a lot more spicy than we expected from a Rock and Rye, and light years less sweet than Mr. Boston Rock & Rye. In addition to the spicy rye, the citrus is extremely strong and bitter. This bitterness is supported nicely by sweet undertones of sugar and honey, but is still much stronger than we expected. Towards the end of the midpalate the earthy bitterness of the horehound comes through as well as the classic rye whiskey notes of cinnamon, oak, and caramel. There’s a nice amount of heat and spice with a medium long finish. Hochstadter’s Slow & Low is a little intense neat and seems generally best served on ice. 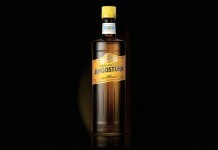 A little dilution and chilling does help temper the level of citrus and bitterness in the mix, thickens up the sweet rock candy and honey elements, and softens some of the spice from the rye. In all, Hochstadter’s Slow & Low is a nice, ready-to-serve alternative to an Old Fashioned. The addition of horehound is a nice stand-in for the bitters, and the trifecta of citrus gives it a distinct taste that’s markedly different from other Rock and Rye’s on the market. For our tastes we would have liked to have seen them back off the citrus peel just a little bit as the bitterness from the pith in the peels throws the balance off a bit. It’s a minor gripe for a nice resurrection of one of the “original bottled cocktails” that delivers a lot of flavor with very little effort.